This is the kind of board that makes you a better rider. It’s obvious why this board won a good wood award. The DC MLF is light and responsive. It shows that you don’t have to have rocker or other tech to make a catch free fun park board that still has a ton of spring. It’s not as fast as the Devun but is far more forgiving and playful. The 161 I have rides smaller than many boards out there. This is due to the narrow waist and smaller contact length due to the longer shape of the nose/tail. On Snow Feel: This almost has a hybrid camber feel. It’s very stable and lively under foot but there is a little bit of catch if you aren’t on your game. 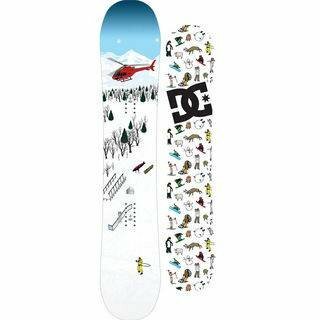 It’s got a fun camber feel for those that like jumps and touring the mountain at moderate speeds in good conditions to hit natural features. Powder: Even though this is a camber board this is one of this boards strong points. There was one day we rode this in some fresh snow but it was only about 8? inches in new snow. Another day we got it in 1-2 feet of pow and this board handled itself very well for a twin. We even kept the stance centered. 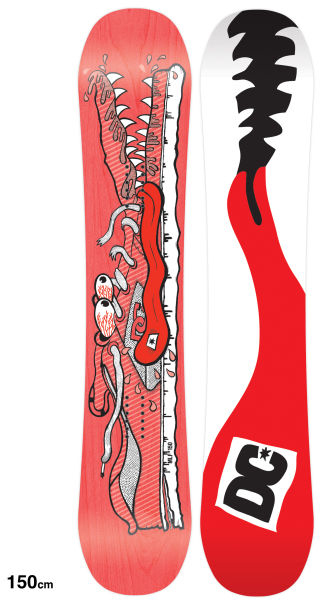 The way they angle the nose really allows this board to perform much better than most cambered twins in the powder. It really fights to stay a float. Even on a slushy day that usually brings out the worst in most boards the MLF was still playful and easy to turn. We were switching back and forth between two boards as we usually do and the other board (Bataleon Enemy) had trouble getting through it. 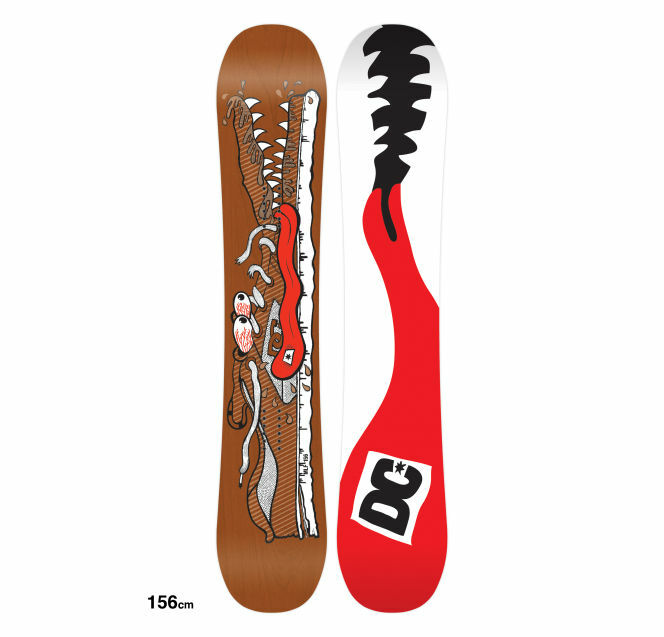 Here is an example of some boards noses and you can see that the DC MLF’s nose is very similar to a powder board’s nose like the Charlie Slasher Pow FK. Turn Initiation– When making your first turn you instantly fall in love with this board. It is fast, light, turns on a dime and makes riding in almost any condition easy. When trying to get carvy it’s not that great but what do you expect from a park specific board with less than average edge hold. Speed: It holds well at speed and is fine for anything you need to do in the park. 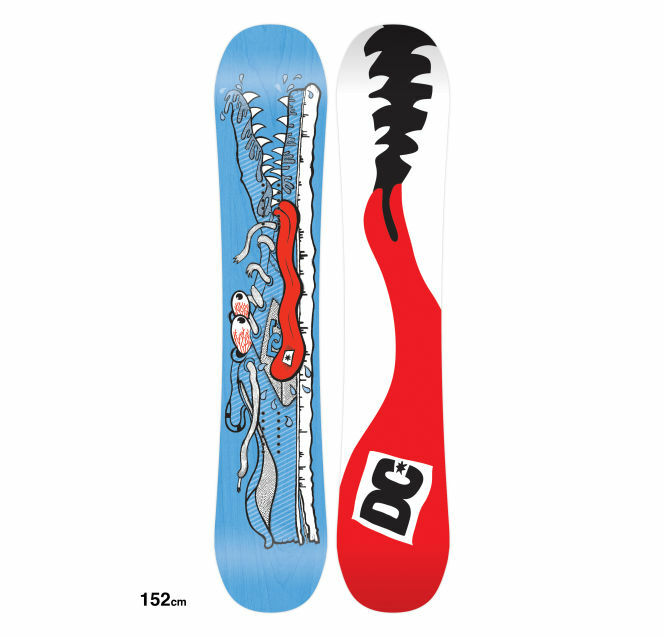 That being said it won’t hold a candle to some of the more aggressive all mountain and freeride boards we have tried. We’d like to see the HKD base on this board and that would make it even better. 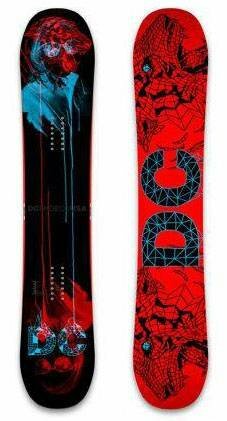 If you are on the mountain there are boards that will have more speed and stability but this is pretty dam good for a straight-line or two. Uneven Terrain: Not bad dealing with most crappy snow you would encounter. It’s got a decent amount of slow speed shock absorption. Approximate Weight– This board is pretty light. It’s nothing you will feel on your feet on the chair. We like a light park board. Some of them can be pretty heavy. Edge Hold: It also lacks the edge hold we usually expect from a brand new board. When going over ice this board didn’t even try to grip it and just slid out. That is a great thing for rails and the jip park but not for the pipe or dropping in on steep icy faces. Compared to some reverse cambered boards the edge is pretty catchy but if you compare it to most cambered boards it is pretty catch free. We’d say this is as close a cambered board can come to catch free. The positive side of this is the pop. Stiffness– This is almost dead in the middle of the stiffness laterally and torsionally. 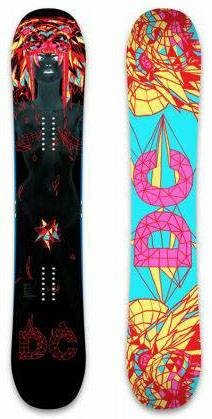 Switch: This true twin with a centered stance is perfect to ride switch. It suggests a wider stance than some boards and is really easy to ride switch. Rails and Boxes– There are definitely better boards for rails and boxes but this does just fine if this is not your #1 thing to do. Pipe: This is more of a jump/jib board. 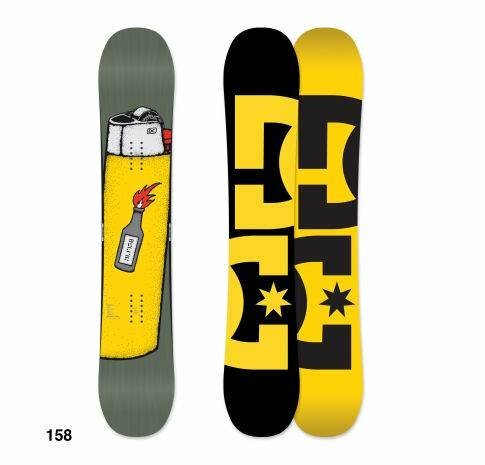 It’s not going to do well on an icy pipe but will be very fun for the slushy days. Jumps: Really fun and forgiving on the jumps. This might be its strongest quality. It has a lot of spring off the jump and enough stability to land when going big. In conclusion we feel this is the kind of board you can ride from 8am to 4pm and have just as much fun on the last run as you would on the first. It can adapt to almost any condition except for hard pack and icy conditions and if they could fix the edge hold it would be a great all conditions ride. We felt this was one of the better boards in slush and soft days you can use. We try to get as many images of the DC MLF, but forgive us if they're not all there. First of all I have the 2014 which has the same graphic as you see in this picture. It also has the same specs on this website. +6mm camber, medium/stiff flex. 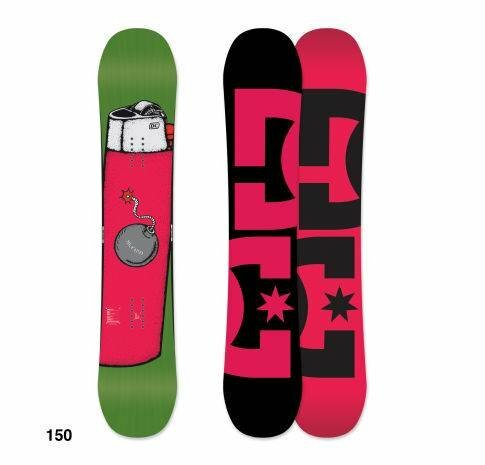 Im from the Eastcoast and this board hold an edge in icy deep carves at around 40mph. Maybe they changed it from the 2012 model in this review. 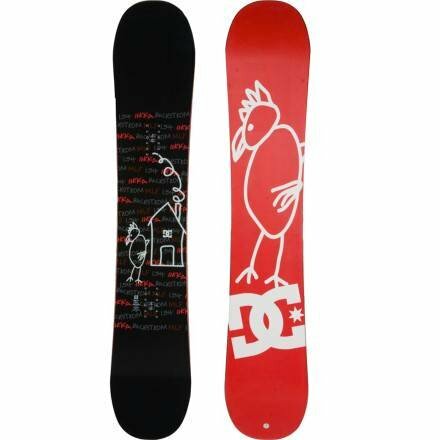 Speed felt stable up to 45-50 mph toe side carves. 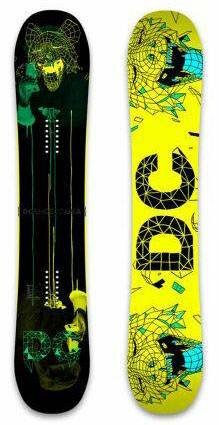 Jibbing, felt catchy, usually ride 2.0 mtn pop rocker. Butters: gotta apply a lot of pressure for this to press but feels good. 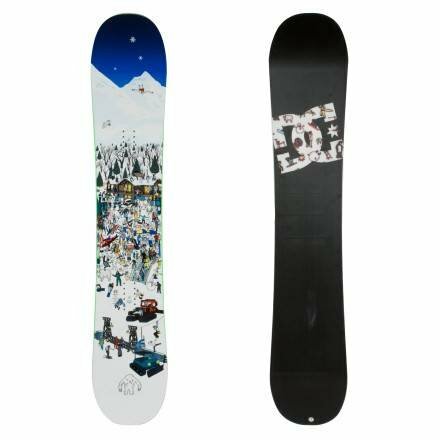 Overall, bought this board when it was -70%, maybe i wouldn't buy it full price and go for the burton custom but that's me. Overall very satisfied with this. I actually wanted to learn switch so I bought this board. 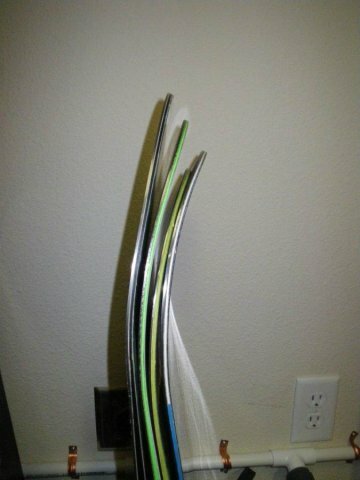 For some odd reason, every time I took this board up to mammoth it was a powder day. I usually have a hard time turning in this thick powder but this board just made life easier. This thing was also fun to Ollie off of natural features around the mountain. It's not the fastest board but if I only had this board I would be a happy rider.